Vintage Threads and Treads happy hours! 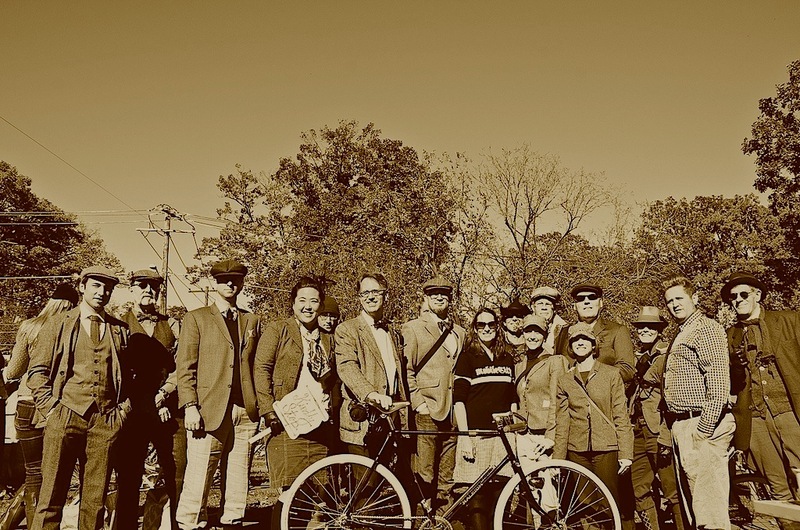 VéloCity and friends at the 2013 Tweed Ride. We are excited to announce that we will be hosting a Vintage Threads and Treads happy hour the next two Fridays (10/17 and 10/24) from 6pm to 9pm. This is a great chance to come down and find some vintage clothing and/or bikes for the upcoming Tweed Ride on November 2nd. The happy hour is happening in collaboration with Dandies & Quaintrelles (organizers of the annual Tweed and Seersucker Rides) and Del Ray’s own Amalgamated vintage clothing. If you want a better sense of what all goes down on the Tweed Ride, you can find some photos on Flickr here. To make sure we have enough vintage bikes on hand to feed your need for tweed, we are inviting vendors to come and sell their own bikes (among them The Old Bike Shop in Arlington). Any interested outside bike vendors should email mike.pattisall@velocitycoop.org for more information. Just to entice you even further, we’ll have some adult beverages and snacks on hand. Stop by and say hi (even if you’ve got all the tweed your closet can handle).